Definition of Keratitis, Symptoms, Treatment, Causes, Diagnosis, Complications and Prevention; Keratitis is an inflammation that occurs in the cornea of the eye. Eye injuries or the presence of infection are the main causes of keratitis. If ignored or not treated properly, keratitis that develops more severely can lead to various complications. Some of these complications include inflammation of recurrent or chronic corneas, swelling and formation of scar tissue in the cornea, injury to the cornea, decreased temporary or permanent viewing ability, and blindness. Red eyes, pain, swelling and irritation. The sensation of small objects such as sand inside the eye. 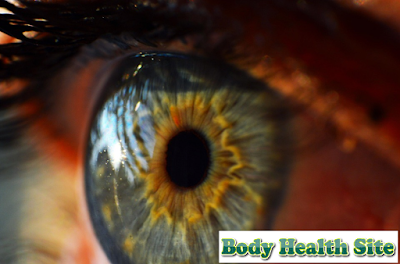 Changes in the quality of vision, such as not focusing on seeing objects or decreasing visual acuity. Immediately consult your doctor if you feel these symptoms. Rapid and appropriate treatment of keratitis will keep you from serious complications. Keratitis can be caused by viral, bacterial, fungal or parasitic infections. However, the most common cause of keratitis is due to injury from the cornea. This corneal injury can be due to the use of contact lenses, scratches of foreign objects on the cornea, or chemical contamination, for example in swimming pools. The use of contact lenses is the main factor that can increase the risk of keratitis. This is due, among other things, to unclean contact lenses, excessive use, or due to contaminated lens cleaning fluid. In addition, vitamin A deficiency, dry eyes, intense sun exposure, and autoimmune diseases can also cause keratitis. Keratitis is not contagious as long as the cause is not an infection unless there is a secondary infection in keratitis which is initially non-infectious. Transmission can occur through hands contaminated with germs, for example after holding contaminated objects and then holding the eyes. There are factors that can trigger keratitis. Among them is a decreased immune system, for example, because of HIV / AIDS, living in a damp and warm place, or using corticosteroid eye drops that can trigger keratitis due to infection or even aggravate keratitis that has been suffered. The diagnosis of keratitis is generally done by an ophthalmologist. At the initial stage, the doctor will ask for your symptoms and medical history. Physical examination in the form of eye conditions and eye structure will also be carried out. Checking the eye structure will help the doctor to know the extent of corneal infection and its effect on other parts of the eyeball. If needed, the doctor will also take a sample of fluid that comes out of the eye to be examined in the laboratory. This examination is used to determine the cause behind the keratitis that occurs. Blood tests are usually recommended in patients suspected of suffering from keratitis due to other diseases. The treatment given to each keratitis patient varies based on the cause, severity, and overall health condition of the patient. Non-infectious keratitis caused by minor injuries, such as scratched contact lenses, will usually heal itself. However, if it is disturbing, the doctor can give medication and recommend using an eye patch until the eye condition improves. Antiviral drug. This drug can be used to treat keratitis caused by herpes simplex or shingles. Antibiotics. This drug is used to treat keratitis caused by bacterial infections. Antifungal drugs. This drug is used to treat keratitis due to fungal infections. Most of these drugs are eye drops. However, if needed, doctors can also give the drug in the form of tablets to treat infections caused by viruses, bacteria, or fungi. The most feared complications of keratitis are thickening of the corneal layer, wounds, and tears in the cornea which can cause inflammation of the entire eyeball (endophthalmitis) and risk of losing the eyeball. Injuries to the cornea (corneal ulcer) have the potential to result in decreased visual acuity, both temporary and permanent, and can even lead to blindness. Don't forget to remove contact lenses before sleeping or swimming. Caring for contact lenses regularly and thoroughly, such as washing hands before cleaning contact lenses, using sterilized cleaning products specifically for contact lenses, and do not clean contact lenses with fluids that have been used. Be sure to replace contact lenses according to the time limit. Avoid using corticosteroid eye drops, except at the doctor's recommendation. Don't forget to wash your hands before touching the eyes or surrounding area. Especially if you are suffering from a herpes virus infection because it can cause the transmission to yourself. 0 Response to "Definition of Keratitis, Symptoms, Treatment, Causes, Diagnosis, Complications and Prevention"